ROTC: It's All About Leadership! Since 1916, the Army Reserve Officer Training Corps (ROTC) has produced more than 500,000 lieutenants for America's Army. As an ROTC cadet, you will become part of a team. You will acquire new friendships that will last a lifetime, as well as meet physical and mental challenges you may not have thought possible. The discipline, teamwork, and leadership you experience in Army ROTC will equip you to succeed anywhere, in whatever pursuit you choose. Newberry College is part of the New Highlander Battalion Army ROTC, which also includes Lander University and Presbyterian College, which is the host institution for the enter battalion.  All ROTC classes are taught at Newberry College, however all Leadership Labs are conducted at Presbyterian. The ROTC curriculum is divided into two distinct courses: the Basic Course and the Advanced Course. Each course differs in regard to who can participate and also in regard to one's overall military obligation. Upon completion of the Advanced Course and successful graduation from Newberry College, cadets are commissioned as United States Army Officers and subsequently begin rewarding careers in the Active Army, Army Reserve, or Army National Guard.